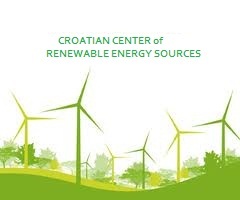 Created on 1988, the Croatian Center of Renewable Energy Sources (CCRES) is the umbrella organisation of the Croatian renewable energy industry, trade and research associations active in the sectors of photovoltaics, small hydropower, solar thermal, bioenergy, geothermal, ocean, concentrated solar power and wind energy. Furthermore, CCRES strengthens and rationalises the European research, demonstration and development efforts in all renewable energy technologies. Wind energy is now a mainstream source of electricity. Unlike conventional fuels, wind energy is a massive, indigenous power source, and it will never run out. It has no resource constraints: the ‘fuel’ is free and endless. On top of this, wind energy entirely avoids carbon costs, geo-political risk associated with supply and infrastructure constraints, and energy dependence on other countries. Europe has taken the lead in wind energy and has consolidated its position as global market leader. “The European Commission is convinced that there is a huge potential for wind energy in Europe", Christopher Jones, European Commission, Introduction to Pure Power, November 200. In contrast to the windmills of the 19th century, a modern power generating wind turbine is designed to produce high-quality, network frequency electricity. Wind turbines can operate continuously, unattended, with low maintenance, and some 120,000 hours of active operation can be expected over a design lifetime of 20 years. By comparison, a typical car engine has a design lifetime of the order of 6,000 hours. Since the early 1980s, the capacity of an individual turbine has increased by a factor of over 200 to up to 6 MW. Larger turbines and improved cost effectiveness has brought down the costs of turbines. Modular and quick to install, wind turbines range in size from a few kilowatts (kW) to 6 MW. Wind turbines are highly reliable, with operating availabilities (the proportion of the time in which they are available to operate) of 98%. No other electricity generating technology has a higher availability. Many developments and improvements have taken place since the early 1980s but the basic architecture of the mainstream design has changed little. The rotors of most wind turbines face into the wind, and actively ‘yaw’ to follow changes in wind direction. Wind farm developments can be as small as a single turbine or as large as several hundred megawatts (thousand kW). Sited in an area with a good wind resource, a single 1 MW turbine can power 650 households. The wind power industry has been growing at an impressive rate, within and outside of Europe. The latest industry figures for the EU wind energy market show that cumulative wind power capacity increased by 23% to 74,767 MW (end 2009), up from 64,935 MW at the end of 2008. 10,163 MW of wind power capacity were installed last year, representing a wind turbine manufacturing turnover of some €13 billion. Wind power has the potential to make a major contribution to the Europe’s increasing energy demand. EWEA projects that 230 GW (including 40 GW offshore) of wind energy could be generating 14-17% of the EU’s electricity need by 2020. In the process it would save an annual 333 million tonnes of carbon dioxide by 2020, €8.3 billion a year in avoided CO2 costs and €28 billion a year in avoided fuel costs. The 2009 Renewable Energy Directive, which sets a target of 20% renewables in the EU by 2020, must be effectively and rapidly implemented by Member States. To meet this target, the share of renewable electricity in the EU must increase from 15% to at least 34% by 2020. Wind energy needs an extended and upgraded electricity system – with interconnections between EU countries and links to offshore wind farms - and greater competition in the electricity market in order to fulfil its potential. By 2020, power capacity equivalent to 42% of the EU’s current capacity needs to be built to replace ageing power plants and meet the expected increase in demand – this is the ideal opportunity to equip grids with the technology they need to bring huge amounts of wind power online. 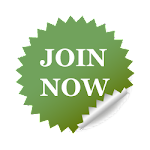 Polluters must pay for emitting CO2, either through carbon taxes or an Emissions Trading System with full auctioning of allowances. Research funding for wind energy must be increased substantially. Solar Thermal Electricity (STE) technology, also called Concentrated Solar Power (CSP), provides clean and reliable power from 10kW to 200 MW and even more. The power commercial solar thermal power plants were built in the 80’s and the current global installed capacity is almost 900 MW. In Europe 11 plants with an installed capacity of more than 430 MW are currently connected to the grid, another 16 plants are under construction and more than 30 projects are pre-assigned. At different stages of technical development, there are 4 main STE technologies to produce electricity from the sun: parabolic troughs, tower technology, Dish Stirling and Fresnel. Each technology will progress depending on favorable policy framework, capacity to reduce generation costs and to satisfy the specific needs of the power market. In Europe the installed capacity of parabolic trough plants operating reaches 400 MW and 650 MW are under construction. Parabolic trough technology is the most mature available on the market with a track record since the 1980’s. The typical size of a parabolic trough plant is 50 MW in Europe, specific land requirements like flat, sunny areas are necessary. The first commercial tower plant has begun operation in June 2007 in Spain (11 MW) and a second one is now operating (20MW). The typical size for a tower plant is up to 50 MW, and specific land requirements are less restrictive than for parabolic troughs. In Europe only pilot plants are in operation so far. The typical size of a Stirling module is 10kW to 25kW, the size of a plant can vary accordingly to any demand and specific land requirements are negligible. In Europe 1 plant based on the Fresnel principle is currently operating (1.4 MW) and another one is under construction (30 MW). The operating principle is the same as for the parabolic trough technology except that the mirrors are flat. Solar thermal systems are based on a simple principle known for centuries: the sun heats up water contained in a dark vessel. Solar thermal technologies are efficient and highly reliable, providing solar energy for a wide range of applications like domestic hot water and space heating in residential and commercial buildings, support to district heating, solar assisted cooling, industrial process heat, desalination and swimming pools. Even the simplest solar thermal systems can provide a large part of the domestic hot water needs. With some more initial investment, 100% of the hot water demand and a substantial share of the space heating needs can be covered with solar energy. Natural flow systems work without any need for pumps or control stations. They are widely used in Southern Europe. Forced circulation systems are more complex and can cover also space heating. They are more and more common in Central and Northern Europe. A growing number of demonstration projects shows the huge potential for solar assisted cooling. Solar chillers use thermal energy to produce cold and/or dehumidification. When backed up by biomass boilers, 100% renewable cooling systems are possible. Solar cooling is at the edge of wide market introduction and substantial cost reductions can be expected in the next few years. The switch of peak electricity demand from winter to summer, caused by the exploding demand for cooling, is jeopardizing the stability of power supply. Peak cooling demand is associated to high solar radiation. Solar cooling will be a key answer to this challenge in the coming years. Solar thermal can also provide the heat needed in many industrial processes, like food production and drying, desalination of drinking water, industrial laundries etc. While ordinary solar collectors typically provide temperatures of 60-100°C, concentrating collectors can reach temperatures of 300°C and beyond. In the lower temperature range unglazed solar collectors are an effective way to reduce energy demand for swimming pool heating. During the past twenty years, solar thermal markets have shown an extremely positive evolution. Often however, periods of strong growth are followed by sharp downturns, a trend which was also visible in the past two years, where an outstanding growth of 60% in 2008 was followed by a contraction of 10% in 2009. With more than 4 million square meters of solar collectors sold in Europe in 2009 for the second year in a row, the solar thermal sector however still outperformed a market environment distinguished by struggling building industries in many European countries and the global economic crisis. Although there is an obvious correlation between solar thermal markets, fuel prices and economic activity, the market stability in our sector remains highly affected by the diversified and inconsistent landscape that support policies for solar thermal technologies show across Europe. However, this is likely to be offset by the effect on national policies of the RES directive (2009/28/EC) implementation and also because renewable heat incentives are already firmly on the agenda in several European countries. Today solar thermal is one of the most cost effective sources of renewable energy. People in the leading solar thermal countries benefit from higher solar value for money because reaching a critical mass of the market allows for high quality at better prices. The potentials for further economies of scale in the areas of marketing, distribution, design and installation of the systems are substantial. In the collector manufacturing process, automation for large volumes is still in its beginnings. “Photovoltaic” is made up of two words: “photo” from Greek roots, meaning light, and “voltaic” from “volt”, which is the unit used to measure electric potential at a given point. Photovoltaic (PV) systems use cells made of semi-conducting materials to convert light into electricity. Discovered by Edmond Becquerel in 1839, photovoltaic electricity undergoes its first real application as an energy source for space satellites. Even though certain applications were used for several decennia, the real commercial take-off of photovoltaic electricity connected to the electricity grid started at the dawn of the 21st century. In 2009, 7.2 GW of photovoltaic systems were installed all over the world. The PV market is expected to grow by 50 to 100% in 2010 with many countries starting to deploy PV intensively. At the beginning of 2010, more than 22 GW of PV systems were already installed in the world, delivering large quantities of electricity. The contribution of PV to electricity production in Europe is steadily growing, with PV contributing significantly to peak power generation in many countries, notably in Spain and in Germany. The cost of PV electricity is constantly decreasing, with PV price reduction being particularly significant in 2009 due to the scale effect and increased competition. A sustained average of a 20% learning rate will drive prices down substantially over the next years and decades, a trend which will make PV electricity more affordable and grid parity (the point where the generation cost of photovoltaic electricity equals the price of electricity at the point of connection) a likely reality for most of European countries during the current decade. Grid parity is expected to be reached as early as 2011-2012 in some Southern European regions. It can reasonably be assumed that photovoltaic electricity will become a mainstream power source in Europe by 2020 and a major power source in 2050. The “SET for 2020” study (www.setfor2020.eu) carried out by EPIA (European Photovoltaic Industry Association) with the support of the Consulting firm A.T. Kearney, outlines that, provided some boundary conditions are met, PV could supply up to 12% of the electricity demand in Europe by 2020, thus representing 390 GW of installed capacity and 460 TWh of electricity generation. For 2030 to 2050, EPIA together with EREC has shown the high potential of PV within the RE-thinking 2050 scenario (www.rethinking2050.eu). Based on the intermediate “SET For 2020” scenario, PV could reach as much a 962 GW of installed capacity by 2050 in Europe. The potential of photovoltaic electricity could, however, be at least 50 % higher in Europe by 2050. Available land area and buildings in “zero impact areas” (i.e. areas not in competition with food production, natural reserves, housing, industry or other purposes) represents a potential of more than 5,000 TWh of yearly PV electricity production. All assumptions are made on the basis of a conservative assessment of the performance evolution of current commercial technologies. With the expected evolution of technologies such as concentrated photovoltaics and nanotechnologies, even higher performance and higher electricity output by Wp (Watt peak) can be expected. The ocean is an enormous source of renewable energy with the potential to satisfy an important percentage of the European electricity supply. Conversion of the wave energy resource alone could supply a substantial part of the electricity demand of several European countries, in particular Ireland, the UK, Denmark, Portugal, Spain and Norway, especially on islands and in remote areas. The best ocean energy resources within the EU Member States are wave energy and marine currents, which have seen the most technological development. Salinity gradient systems are being developed in Norway and the Netherlands. Ocean Thermal Energy Conversion (OTEC) technologies are not yet available in Europe but can be harvested at latitudes closer to the Equator with technologies developed by European companies. The technologies used to exploit the different ocean resources (waves, tidal range, tidal stream/marine currents, salinity gradients and ocean thermal energy conversion) are quite diverse. They can be categorised according to their basic principles of conversion. The different concepts for wave energy conversion can be onshore, near-shore and offshore and rely on several working principles (e.g. oscillating water columns – OWC). Tidal barrage technologies are similar to large hydropower dams, but adapted to ebb and flood tides. Marine current devices are less diversified than wave energy devices. They could use a range of working principles and they can either be rigidly mounted in the seabed, piled mounted, semi-submersible with moorings or attached to a floating structure. The technology to harness salinity gradient power uses the osmotic pressure differences between salt and fresh water or between water bodies of different salinity. OTEC relies on using the temperature differences between shallow and deep sea to drive a turbines. Over the past few years, dedicated infrastructure for wave and tidal sea trials have been created in several European countries. They facilitate deployment of technologies from prototype to commercial phase by making cable connection available and / or simplifying the licensing procedure. At present, several grid connected test areas are under development, scheduled to be operational with the coming 1 to 3 years. At present, tidal barrage is the only ocean energy technology that has been operating for decades. La Rance, France was inaugurated in 1966 and has been exploited commercially ever since. Several wave and marine current technologies are currently in (full scale) demonstration stage. Salinity gradient and OTEC are still largely in R&D stage. However, the first salinity gradient prototype installation is operational since December 2009 (Statkraft, Norway). Although ocean energy R&D started decades ago, remarkable development has only taken place since the beginning of this century. Overall, ocean energy development is no longer limited to academic research. Recently, large companies, utilities and industrial consortia have started to invest substantially in ocean energy projects demonstrating the ambition of the sector. Political engagement is being demonstrated by Member States with high ocean energy resources by means of dedicated research funding programmes, support schemes and ambitious national targets. The installed capacity in 2009 was approx. 250 MW. This included La Rance in France that has an annual production of 550 GWh. In terms of electricity production generated by the sector, ocean energy estimates the following: 0.62 TWh in 2010, 8.94 TWh in 2020, 150 TWh in 2030, 549 TWh in 2040 and 645 TWh in 2050. These assumptions are based on the development of offshore wind and assume saturation in 2050. In terms of cost, it has to be noted that the cost of ocean energy is very technology specific. Cost figures are still being developed as devices enter long-term energy production stage. The 2006 Carbon Trust report ‘Future of Marine Energy’ estimates the cost for wave energy to be between the equivalent of 0.1 to 0.65 €/kWh, depending on the full load hours, interest rates, depreciation period and operation and maintenance costs, as well as the different technologies. The cost of current prototypes are of the order of 3,500 to 13,000 €/kWh. Growth of the sector to 2020 is estimated by using an exponential curve that follows the growth since 1998 leading to projected installed capacity of 3,6 GW by 2020. Considering ocean energy faces similar challenges as the offshore wind sector, a similar growth curve has been used to project the 2030 and 2050 scenarios leading to a projected installed capacity of 54 GW by 2030 and 188 GW by 2050. Furthermore, it is considered highly likely that ocean energy will form synergies with offshore wind. Up to now, financing of ocean energy projects has been done mainly through financing of research projects. However, the real challenge for this sector is to demonstrate technologies that have advanced to the pilot and demonstration stage. Thus, more financing should be allocated to these stages of ocean energy projects at both national and EU level. R&D funding should address improvement of existing technologies rather than new concepts. The need to go from a single pilot device installation to farms with tens of MW calls for targeted investment in specific and ambitious projects. This requires large scale public–private partnerships. It is therefore recommended that policy makers put in place incentives for private bodies to invest in ocean energy technologies such as tax incentives. One of the main hindering factors for ocean energy expansion will be the availability and capacity of the offshore and coastal electrical grid. Unlike the offshore wind sector, which has been involved in the planning process for the grid expansion and development for many years, the ocean energy sector has difficulties to push in favour of its inclusion in grid development planning. Policy makers at both national and EU level have to ensure that all options for future offshore energy sources are taken into account. Large scale deployment of ocean energy farms entails using a significant portion of the maritime area. The independent management of maritime space, with fair allocation of resources and transparent participatory procedure for allocation will therefore be crucial for the development of the ocean energy sector. For centuries civilisations have taken advantage of the power of water. Once used by the Greeks for grinding wheat into flour, the water wheels of the past have been updated to today’s highly efficient turbines that generate electricity by spinning water. Small hydropower, defined by installed capacity of up to 10 MW, is the backbone of electricity production in many countries in the European Union. Small hydropower is based on a simple process, taking advantage of the kinetic energy and pressure freed by falling water or rivers, canals, streams and water networks. The rushing water drives a turbine, which converts the water’s pressure and motion into mechanical energy, converted into electricity by a generator. The power of the scheme is proportional to the head (the difference between up- and downstream water levels), the discharge (the quantity of water which goes through the turbines in a given unit of time), and the efficiency of the turbine. In 2006 there were nearly 21,000 SHP plants (SHPPs) in the EU-27 and if candidate countries as well as Norway, Switzerland, Bosnia & Herzegovina and Montenegro are included, the number of SHPPs increases to a total of nearly 23,000. The installed capacity of EU-27 was more than 13,000 MW – or more than 15,000 MW if candidate countries, Norway, Switzerland, Bosnia & Herzegovina and Montenegro are included. In 2006 the total electricity generation from SHP in EU-27 was more than 41,000 GWh, and if including candidate countries, Norway, Switzerland, Bosnia & Herzegovina and Montenegro, nearly 52,000 GWh. This means that in 2006 about 1.2% of the total electricity generated as well as 9% of the RES-E in EU-27 came from SHP. On average, in 2006, a SHPP in the EU-27 had a capacity of 0.6 MW and produced about 2.0 GWh. The range of investment cost can vary from 1,000 €/kW (Greece, Spain, Bulgaria, Czech Republic, Estonia) to 12,000 €/kW (Germany). In terms of average SHP production cost the range varies from 0.4 €cent/kWh (Bulgaria) to 17.4 €cents/kWh (Italy). Development of hybrid systems combining several technologies to guarantee the maximum energy production in the most efficient way. Adding security and stability to the European grid thanks to the pump storage. 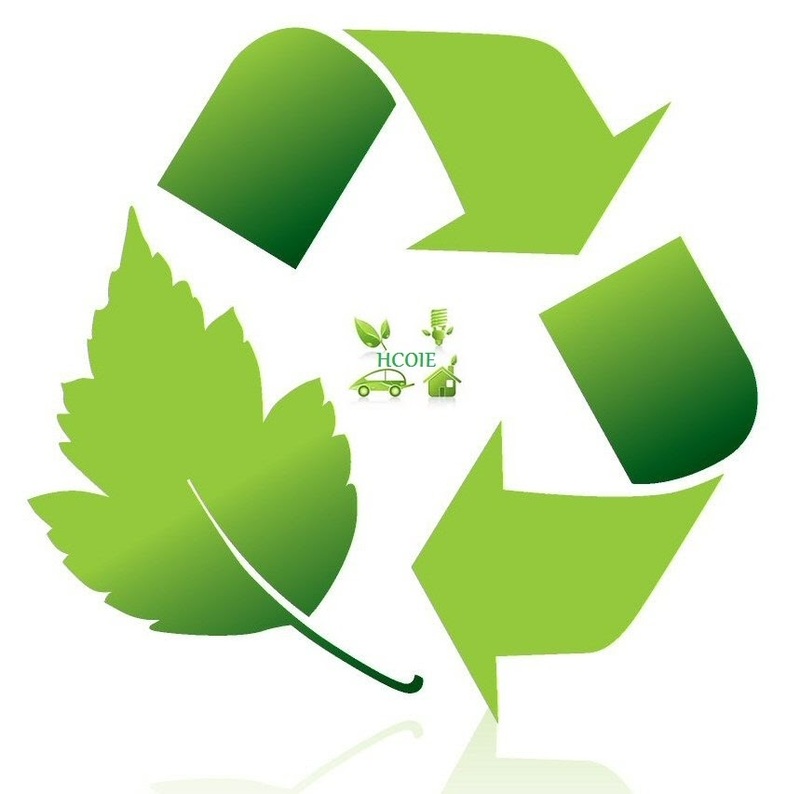 Mitigating Climate Change: for example SHP production reduces greenhouse gases such as CO2 by 29,000,000 tons annually and sulphur dioxide by 108,000 tons annually. Supporting the development of rural areas by the installation on economically advantage conditions of SHP off-grid units. Reconciling targets of the Water Framework Directive (WFD) and the RES Directive:The implementation of the WFD is currently restraining the present and future development of the sector, as the interpretation of the Directive at a national level is having direct consequences in terms of the approval of new projects and in terms of the allocation of concessions and permissions. Environmental measures: Hydropower needs a more objective approach from the environmental community and from stakeholders since current and future legislation could limit in a severe way the benefits of such a source of energy. Removal of administrative and regulatory barriers: Administrative procedures to get a hydropower plant operating are still one of the most important barriers for the sector. The long time periods required for obtaining licences, concessions and permissions discourage developers from bringing projects to an end. A more flexible, simple, centralised and homogeneous European system could ease the procedure. More attractive incentive regimes (especially in the new MS): Hydropower and in particular small units are currently benefiting from European support schemes. Nevertheless, in comparison to other renewables and comparing between countries, the level of support is not satisfactory in terms of cost-benefit and market competition. Need for proactive cooperation and better communication at a local level: In the case of hydropower projects, the rapid establishment of a participatory approach involving the different stakeholders affected by the realisation of the project and in particular the environmental and fishing community is a must for the future development of the sector. Investment in R&D and change of thinking: The hydropower technology of the next decades will evolve towards more sustainable solutions. However, in order to minimise the environmental impact while at the same time maximising electricity production, a change of thinking is required and investment in current and future R&D is highly recommended to explore and test different solutions. Per definition, geothermal energy is the energy stored in the form of heat below the earth’s surface. It has been used since ancient times for heating, and for about 100 years also for electricity generation. Its potential is inexhaustible in human terms, comparable to that of the sun. Beside electric power generation, geothermal energy is today used for district heating, as well as for the heating (and cooling) of individual buildings, including offices, shops, small residential houses, etc. Geothermal-generated electricity was first produced at Larderello, Italy, in 1904. Iceland, Italy, Turkey and France are the leading countries in Europe today. The largest geothermal district heating systems within Europe can be found in the Paris area in France, with Austria, Germany, Hungary, Italy, Poland, Slovakia and others showing a substantial number of interesting geothermal district heating systems. Sweden, Switzerland, Germany and Austria are the leading countries in terms of market for geothermal heat pumps in Europe. Today, geothermal power plants exist on every continent, at any place were reservoirs of steam or hot water can be found. There are, with conventional technology, ca. 1000 MW of electric power installed in the EU, around the clock. The relevant resources are far from being fully developed, also in Europe. The concept of Enhanced Geothermal Systems (including the classical Hot-Dry-Rock-idea) is going to tremendously increase the potential. The earth is full of energy: virtually any temperature level in the underground can be used directly, for instance with deep boreholes. Did you know that through deep boreholes almost 4500 MWth are already installed in Europe? 4500 MWth for a clean environment. However, once again, this is only a small fraction of the resources that could be exploited. Virtually every temperature level in the underground can be used for geothermal energy, even if this means only ca. 3-15°C, as is the norm in the shallow underground of European climate. 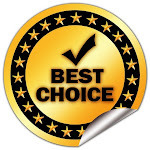 In most cases a heat pump is required here, and cooling can be supplied as well as heating. not sensitive to conventional energy prices - the earth will not send an invoice! Bioenergy can play an important role in combating climate change as well as improving the security of energy supply in Europe. However, biomass for energy is a complex matter, as there are many different biomass-to-energy-value chains. The final energy can be used for heat, electricity and transportation fuel. Many different conversion pathways from feedstock to final energy exist today, such as small scale combustion, large industrial combustion units, gasification, pyrolysis, steam process, Organic Rankine cycle (ORC) process, fermentation, and esterification. In order to achieve development in the bioenergy sector over the coming years, there is a real need for a favourable policy environment to bring new technological and scientific advances to the market. The RES Directive laid down a 20% RE target for 2020 and therein stated that 10% of final energy consumption in 2020 would have to come from for renewable transport fuels. With these targets in mind, it is evident that a range of bioenergy technologies need to be deployed over the coming years in order to meet those targets. Experts believe that biomass is likely to contribute half the 20% renewable energy target. Today 61 Mtoe of biomass is used as final heat, main raw material fire wood, chips, pellets and other by-products, 9 Mtoe as electricity and 8 Mtoe as biofuel. In efforts to achieve competitiveness, the renewable energy industry is today faced with technological and economic challenges. In addition to these general challenges, bioenergy is confronted with pressing and controversial questions relative to its feedstock. The competition with other uses of biomass (i.e. energy vs. food), and requirements for sustainable bioenergy production, now dominate discussions. It should, however, be pointed out that both the bioethanol and biodiesel production chain have protein-rich animal feed as a by-product, meaning that biofuel production does not compete with animal feed, in fact it would help reduce the import of often unsustainable animal feed from other parts of the world. Future development depends to a large extent on the economic framework created by Member States. The leading principles for the further development of bioenergy in future energy systems are sustainability, efficiency and competitiveness. Bioenergy has to bring to commercial maturity the most promising technologies that fit these principles. Developing a longer term R&D programme to support the bioenergy industry beyond 2020 and looking towards 2050 is a key parameter for the success of the sector. The topics that will affect R&D in the area in the coming years are the development of new feedstock, the integration of bio-energy into supply structures with new conversion technologies, monitoring conversion and biogas technologies, modelling of the bioenergy value chains, the development of digestion technologies and the development of both consulting and training programmes. The technologies that have the biggest market potential and are already developed and robust are co-firing of biomass and combustion of biomass by Combined Heat & Power (CHP), as well as biofuels, as alcohol and oils have been produced on an industrial scale for many decades. 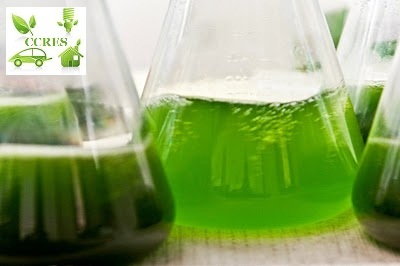 At this moment in time, the weakest technology is bio-hydrogen production, however, it may well have a great market potential following development in the coming years. As far as biofuels and bioliquids are concerned, their market share will be increased with the introduction of advanced biofuel products and as bioliquids are produced for the aviation sector, as well as for inland navigation and heavy duty vehicles. When thinking of the power system in 2050, many options are currently being discussed on how to integrate fluctuating renewable energy sources, for example via virtual power plants (i.e. real power plants of different nature and energy storage devices all interconnected and distributed into the power system through information and communication technology (IC T) and different transmission and storage options on the supply side and demand side management on the energy customer (end-use) side. Bioenergy is an attractive solution to the challenge of integrating renewable energy in the electricity grid. It is a renewable energy source with the properties of fossil fuel (high energy densities) and is as such stored chemical energy. It is therefore suitable to substitute fossil fuels in the transport sector and in the heat and power sector. Bioenergy is also of interest as a balancing power. Electricity production based on biomass should be concentrated on combined heat and power (CHP) plants of different sizes. Micro CHP still has to be developed for the market. CHP offers high efficiency, but requires in many cases new DH grids. In the future, more than two thirds of the contribution of bioenergy to the final energy consumption in Europe could be in the heating sector. This would require the heating systems in tens of millions of houses to be changed, the building of many district heating systems (large and small), and the change of the heating system in many companies of the production sector. The technology is available – efficient and low emission wood logs, wood chips and pellet boilers/stoves for small scale applications and DH plants running on various biomass fuels. Biofuels are important to improve the sustainability of the transportation sector. Current biofuels, mainly from Europe, should maintain an important position, as they can save up to 88% greenhouse gas emissions compared to fossil fuels and their production delivers almost double the amount of protein feed (defined in energy units), as liquid fuels. Advanced biofuels will continue to increase their market share. Bio-refineries contribute sustainable processing of biomass into a spectrum of marketable bioenergy products and they will develop over the coming years and will have an important role in a 2050 strategy. Biofuels offer the possibility of having multiple energetic and non-energetic products from a mix of biomass feedstock (wood, energy crops, organic residues, aquatic biomass, and waste). Firstly, there is a need for multi-disciplinary scientific knowledge, so that a mixture of technologies can be developed that are adapted to individual energy issues. The setting up of an efficient network of EU Centres of Excellence, with the aim of collecting information on the bioenergy sector, helping the communication between stakeholders and disseminating information on a variety of relevant issues, will be key to achieving the bioenergy objectives set out above. Last but not least, international collaboration is very important. 40% of all investment to change the energy system to renewable has to be realized in private houses or companies – better support program for this kind of investment is urgently needed.